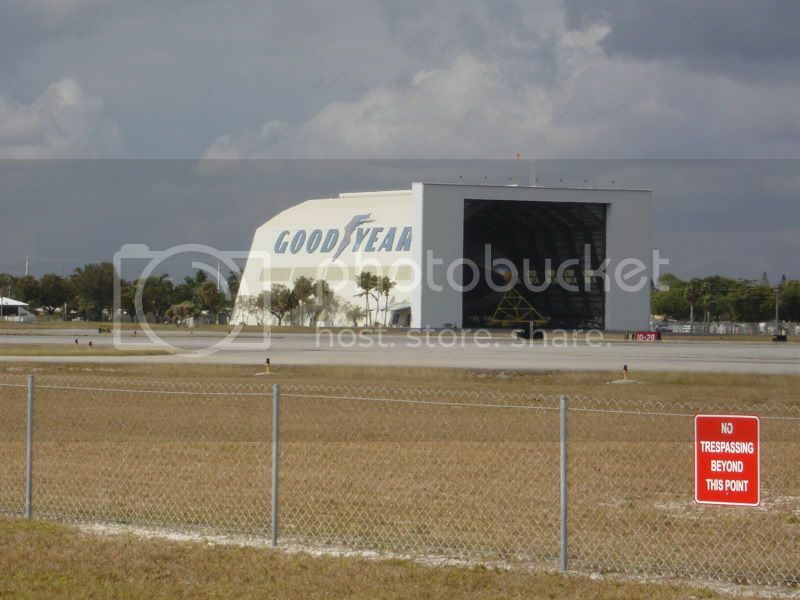 Rode down to Pompano Air Park home of the Goodyear Blimp. The Spirit of Innovation was napping in his "little house", so we just walked in and took his picture. 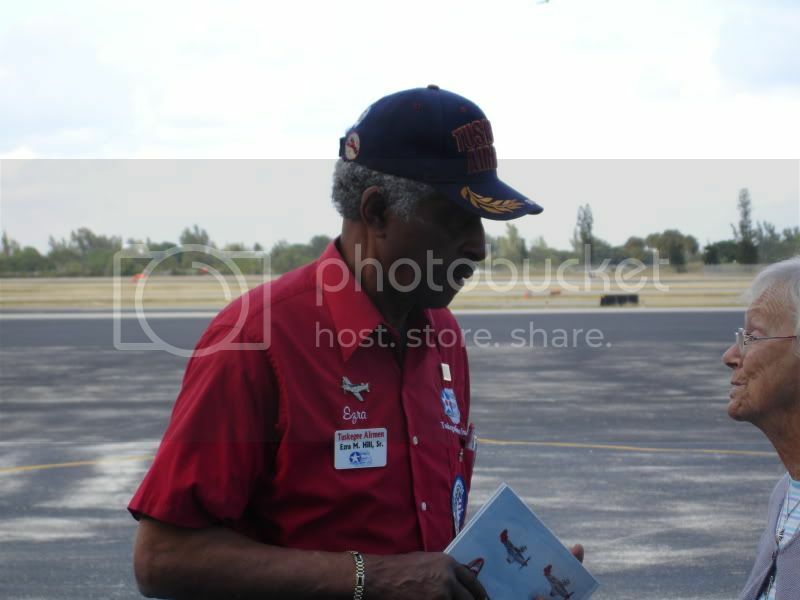 Then we rode around the runway where we got to meet the youngest of the WWII's Tuskegee Airmen an nice fella named Ezra. The lady in the photo is a WASP who will be receiving a Congression Medal later this year, Ezra got his last year. 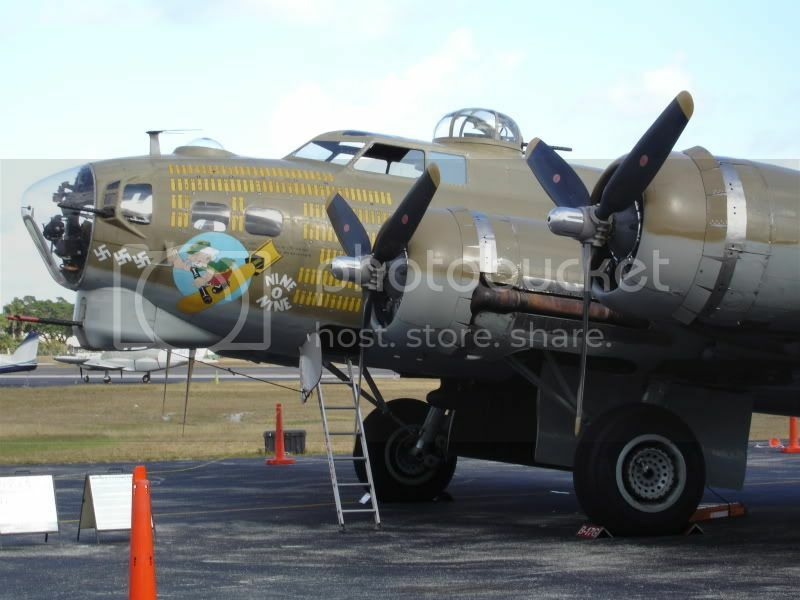 Then we took a look at the B-17 Flying Fortress that just landed. Had to get my Chief into the photo with the B-17. Thanks for the pics! Awesome! Hey, that airfield is about 4 miles East of my house! 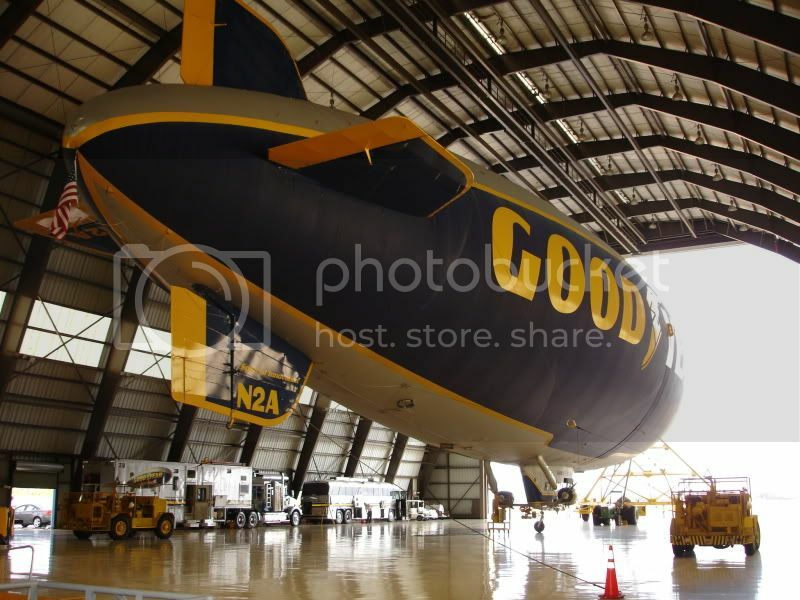 In fact, they crashed the predecessor to that blimp about 2 miles from my old house in a thunderstorm about 8 years ago. The crew walked away, but there was blimpskin strewn over a couple of blocks. I didn't know they had a bomber there; I'll have to check on that; I'd love to show it to the youngster. Info on currently flying B-17s. The Nine-o-Nine was here early last spring. 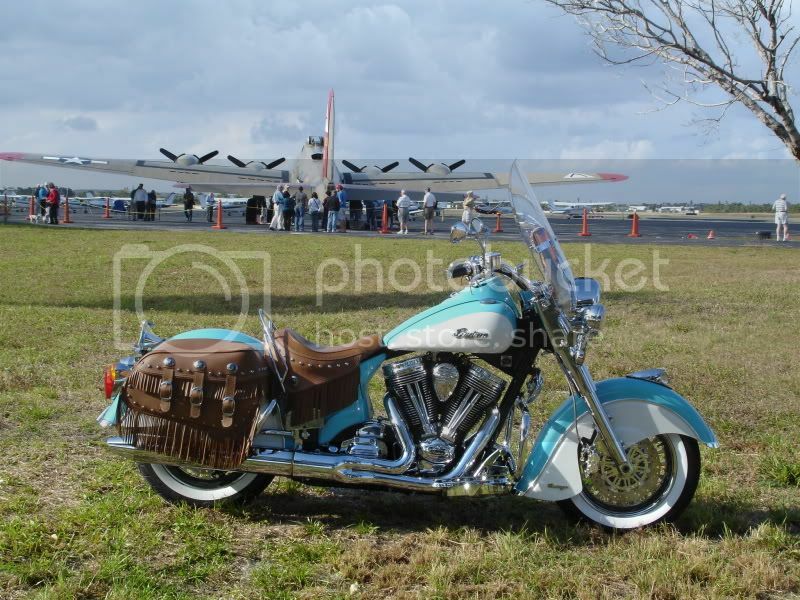 Her tail gunner was here, too, and was reunited with her. And, a video. Crank up the volume! Last edited by pushrod; 01-18-2010 at 08:52 AM..